I happened to scavenge a couple of SLG2016’s from some old workstation debug displays. 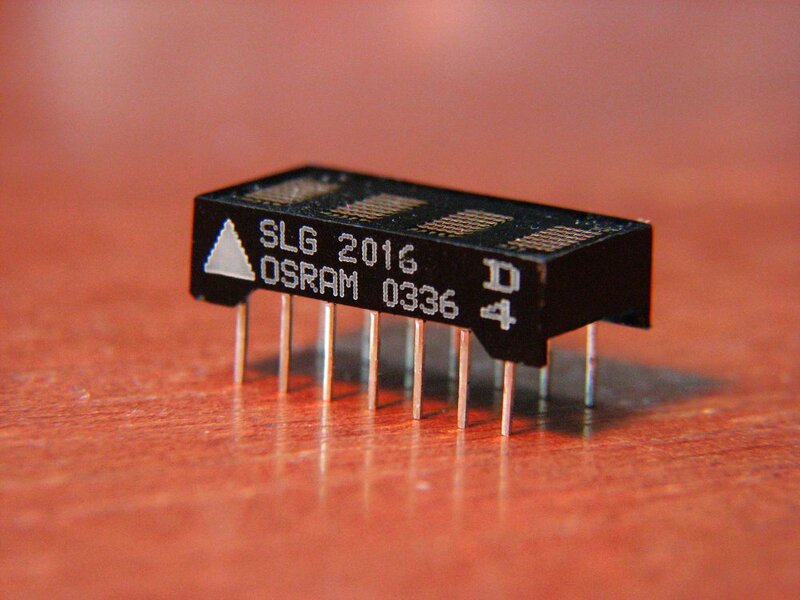 After finally locating a datasheet, I realized that they used the standard ASCII charset, so they are extremely easy to drive. Note: The SLG2016 differs from the SLR2016, SLO2016, and SLY2016 only by LED color. The only downside to these displays is that they use quite a few pins (7 data lines, 2 digit select lines, write line, and optional blanking line). For now, I’m driving the display with all pins in parallel on a tiny88 which has plenty of pins; however I plan on using a shift register to cut down on data bus pin usage in the future. 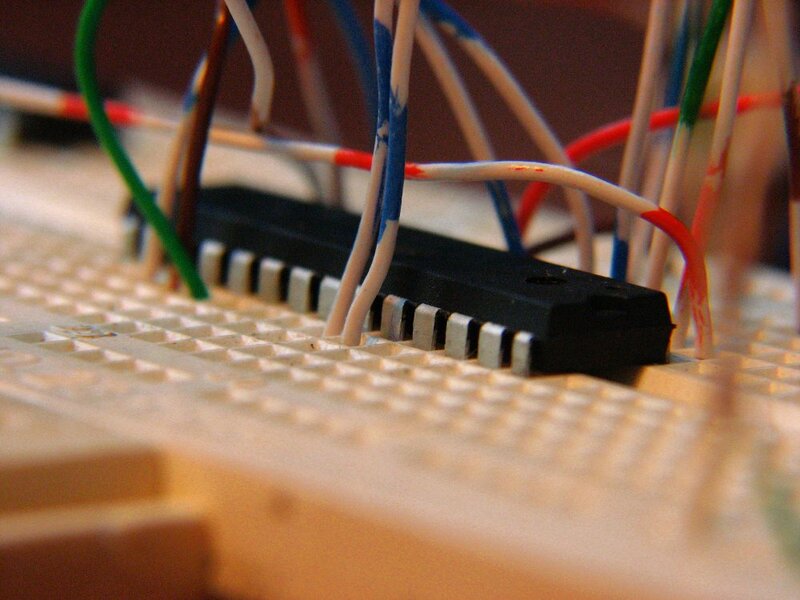 The displays only need the data lines to be held stable during a write cycle, making shift registers well-suited to this task. 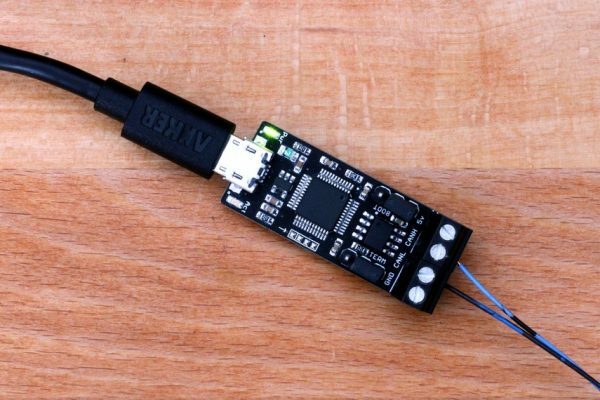 To flash the attiny88, I’m using a Bus Pirate (pictured above) flashed with the STK500v2 emulation firmware. 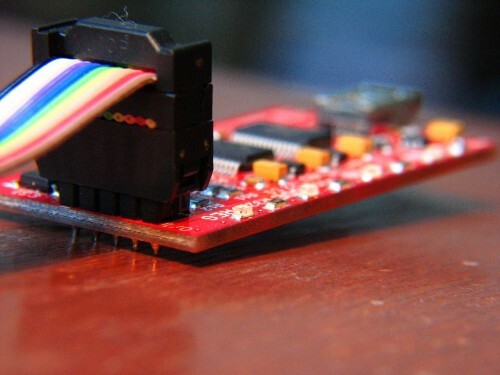 This allows me to use avr-gcc with AVR Studio to program the chip. Here is some code I used to test the displays, using PORTD for data lines, and the 2 LSB’s of PORTC for digit select lines. This is the first time I’ve worked with AVRs outside of the Arduino environment, so pardon any flagrant errors and drop me a comment if you have any suggestions. What a luck you have, i need one of this display but they are not cheap!! On mouser one of this little thing costs: 22 euro.. I know! It’s crazy. Every matrix LED screen I’ve been able to find is really pricy. I haven’t checked any chinese wholesale places, though.